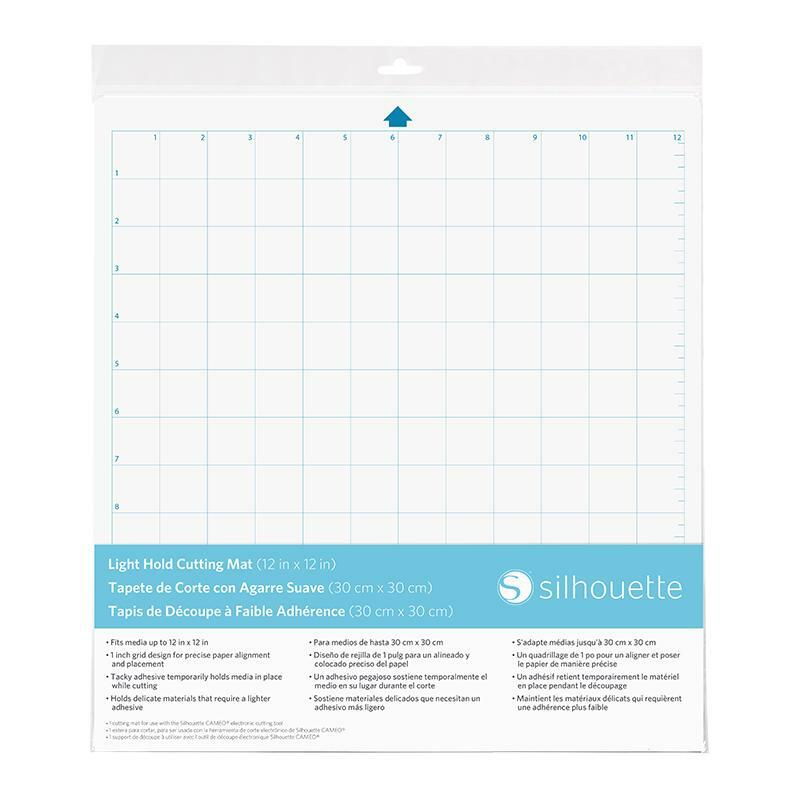 The CAMEO Light Hold Cutting Mat is intended for use with the Silhouette CAMEO® to hold more delicate materials in place when sending jobs to the Silhouette machine. The mat has a light adhesive level to hold thinner materials, such as copy paper. The mat has a printed grid which coincides with a virtual on-screen mat in the Silhouette Studio® software for greater ease of use.